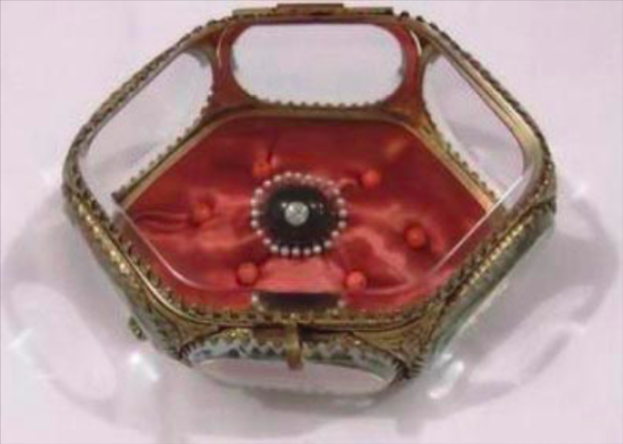 Two people were arrested last Saturday by West Columbia police and the Brazoria County Sheriff’s department for the theft of a precious jewel from the historic Varner-Hoff Plantation Historic Site in West Columbia. Arrested for the alleged theft were Carla Fuentes, 26, of Freeport, and Tirso Miguel Perez, 24, of Highlands, TX. Court records show that Perez has a history of as many as 13 theft convictions. A man died on July 30 in an accident that Harris County Sheriff’s Accident Investigators say may be related to speed. Witness indicate a 2004 Mazda 6 in the 13,500 block of US 90 at 2:00 a.m. was going over 100 m.p.h. and the witnesses could not indicate a reason for the speed. Investigators determined that the car had yawed leaving the highway then rolled end over end and then side to side before coming to rest on the roadside. Deputies determined that Juan Clemente-Mejia was ejected from the vehicle and that he was the sole occupant and the only person injured. There were no signs of life when he was found and he was pronounced dead at the scene. HOUSTON, TX — Congressman Gene Green will be hosting his Annual Immunization Day on Saturday, August 11, 2018, from 9 a.m. to 12 p.m. at North Shore Senior High School (Galena Park ISD), 353 North Castlegory, Houston, TX 77049. In addition to providing free immunizations for children, the event will give parents an opportunity to speak with Congressman Green about preventive health initiatives. AUSTIN — July 25, 2018 — Whether you’re in need of book bags, blackboard chalk or bell-bottom pants, Texas Comptroller Glenn Hegar is reminding shoppers they can save money on those and certain other items during the state’s sales tax holiday. This year, the sales tax holiday is scheduled for Friday, Saturday and Sunday, Aug. 10-12. 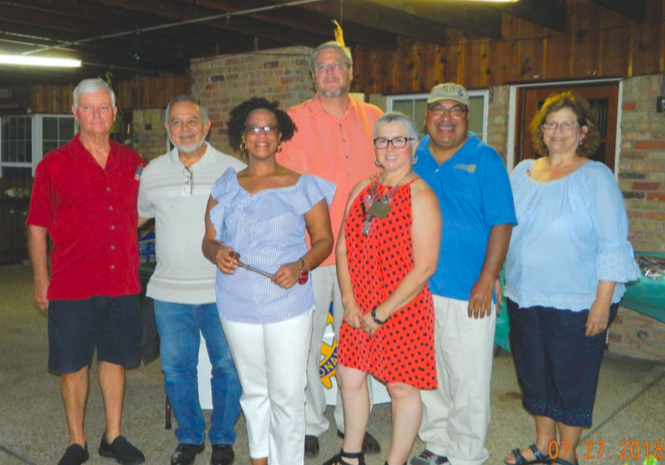 THE GALENA PARK/JACINTO CITY ROTARY CLUB held their annual installation of officers last Friday night at the home of Maria Rodriguez. Pictured above are District installing officer Derrill Painter, President Elect Marcos Ramos, new President Jennifer Ledwith, Past President Bryan Clements, Interact Director Maria Rodriguez, Secretary Ernesto Paredes, and Treasurer Eileen Brightwell. Not pictured President designate Juan Flores.